Click here to find out your elected representatives. 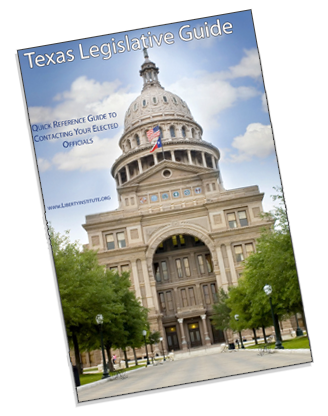 To receive the Texas Legislative Guide for yourself or for a larger group, please contact David Walls, our Grassroots Coordinator in our Austin office, at 512-478-2220. Guides can be picked up now at our Plano or Austin offices, or we can bulk mail larger quantities. For use on a computer, you can also download a pdf of the guide at legislativeguide.libertyinstitute.org. Click here to see our “Keys to Legislative Advocacy” summary.